PravdaBeslana.ru was created to collect all factual materials connected with the tragedy in the North-Ossetian city Beslan on September 1-3, 2004. On this site you can find full court records in Russian of the litigation against Nurpasha Kulaev, the only terrorist that survived. Since PravdaBeslana.ru is not a commercial project, unfortunately, we do not have English translations of the court records. Beslan-video. See on YouTube: pravdabeslana. See also here. 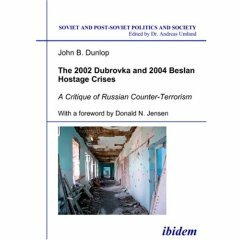 Flights of the "Bumblebees": Who and how used flame throwers in Beslan when freeing hostages? Personal experience of using "Shmel"
The sensational statement of the representative of public prosecutor: "Tanks and flame throwers were used during storm"